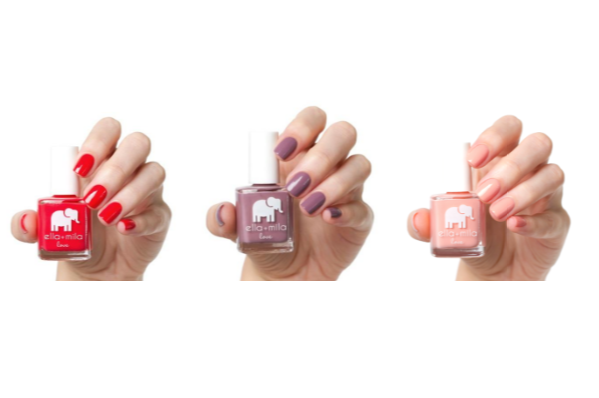 Ella + Mila’s New Love Nail Polish Collection is ethical perfection | SHEmazing! We absolutely fan-girling over Ella + Mila’s New Love Nail Polish Collection! Finding ethical nail polish without any toxic chemicals can be hard enough, and finding different colours is a whole other story. – Wild About You: Vivid, orange-toned red- free from carmine! As a brand that cares about where its products come from, Ella + Mila is also certified cruelty free by PETA, and is completely vegan. Their products are also totally free from toxic chemicals and ingredients which are commonly found in commercial nail care products, making Ella+Mila a ‘7-Free’ range. These seven ingredients won’t be found anywhere near Ella+Mila: toluene, formaldehyde, formaldehyde resin, DBP, camphor, xylene and TPHP. If you’re searching for eco-friendly, animal friendly and safety conscious products, we’ve found the ideal nail polish for you! 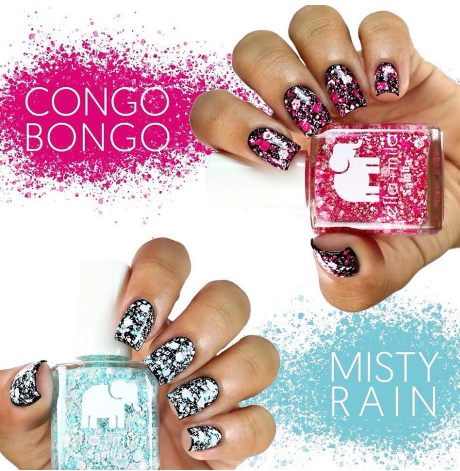 They also have two brand new Splatter shades from Samba collection arriving soon: Congo Bongo for pink lovers and Misty Rain for those who prefer blue! Don’t forget some of Ella + Mila’s classics such as First Aid Kiss base coat, In a Rush Top Coat and and Ella + Mila’s Soy Polish Remover for the perfect at home manicure! A vitamin E-infused nail strengthener which is formulated with damaged nails in mind. The formula prevents chipping and breaking. This fast-drying top coat dries up to your coats of enamel to a high, glossy shine in less than 3 minutes. When applied to your nails, it also hides any imperfections in the application of the nail enamel. The polish also contains a UV inhibitor which prevents yellowing, solving a major nail issue in one easy step. A vitamin-enriched nail polish remover which effectively removes all nail polishes. Rich in vitamins A, C, and E, the formula is also enriched with lavender essential oil which helps to promote healthy nail growth. The absence of acetone and other harsh acetates rules out any negative effects like nail or cuticle damage, so there’s no worries, only long-term ethical glamour. Sounds perfect to us! Ella + Mila is the signature range of nail polishes that Skinfull Affairs use in their manicure and pedicure treatments.